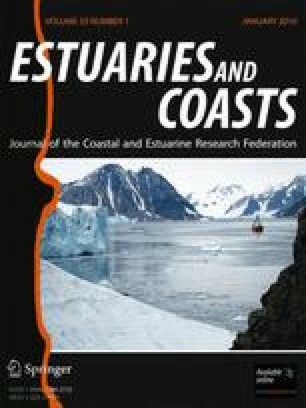 We examined patterns of habitat function (plant species richness), productivity (plant aboveground biomass and total C), and nutrient stocks (N and P in aboveground plant biomass and soil) in tidal marshes of the Satilla, Altamaha, and Ogeechee Estuaries in Georgia, USA. We worked at two sites within each salinity zone (fresh, brackish, and saline) in each estuary, sampling a transect from the creekbank to the marsh platform. In total, 110 plant species were found. Site-scale and plot-scale species richness decreased from fresh to saline sites. Standing crop biomass and total carbon stocks were greatest at brackish sites, followed by freshwater then saline sites. Nitrogen stocks in plants and soil decreased across sites as salinity increased, while phosphorus stocks did not differ between fresh and brackish sites but were lowest at salty sites. These results generally support past speculation about ecosystem change across the estuarine gradient, emphasizing that ecosystem function in tidal wetlands changes sharply across the relatively short horizontal distance of the estuary. Changes in plant distribution patterns driven by global changes such as sea level rise, changing climates, or fresh water withdrawal are likely to have strong impacts on a variety of wetland functions and services. The online version of this article (doi: 10.1007/s12237-009-9230-4) contains supplementary material, which is available to authorized users. We thank Ken Helm, Daniel Saucedo, and Alana Lynes for help in the field, and the US EPA STAR program (RD 83222001-0 to C. Craft) and NSF (OCE99-82133, OCE06-20959) for funding. This is contribution number 990 of the University of Georgia Marine Institute. This work is a contribution of the Georgia Coastal Ecosystems LTER program.